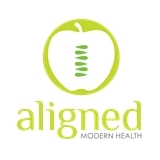 Aligned Modern Health (Chicago) - Book Appointment Online! Come see why we are the highest rated Chiropractor on Yelp in Chicago!! At Aligned Modern Health we strive to help people feel better, live with less pain and live their life to the fullest. We use a holistic approach starting with Chiropractic well being and state of the art technology to quickly diagnose and set the right course of action to get you quickly feeling better. Our wide variety of wellness services from Chiropractic, to massage therapy, to nutrition consultation, and physical rehabilitation, will make sure that you leave feeling better than when you walked in. In addition, we offer classes and events everyday to help round our treatments and make living a healthier lifestyle more fun. Our Doctors and staff are here to help you feel better from day one, that is our #1 goal. We will do everything we can to get you feeling better in the most efficient manner possible. This practice sees patients at 15 locations.